Hello to everyone out there and welcome to another edition of Mastication Monologues! Today’s review partially comes from curiosity but also from an urge to get out of my apartment and check out what is actually in the building I live in. I’m kind of cooped up right now due to a foot injury from soccer, but here’s to hoping it heals fast! Anyway, everyday I walk into my building and see a chicken and beer restaurant right across from my elevators. Not only is this combo a great Ludacris album, but these restaurants are all over Incheon and South Korea metropolis’ in general. However, one of the key elements of this restaurant in terms of decor is the fact that they use the Hooters owl logo but have changed the name to Boors. Nevertheless, I hobbled downstairs to see whether this place could measure up to the classic Southern staple I know and love back home. The actual restaurant wasn’t too big, but the guy running it was quite friendly. He didn’t really speak much English, but I was able to tell him that I wanted four pieces. He fried them up in front of me which was a nice change from the mass-produced fried chicken that is sitting under heat lamps all day. Eventually I got my four piece box and a mystery item in a pojang pongtu (to-go bag) for the low low price of 5000 won or roughly 4 bucks. 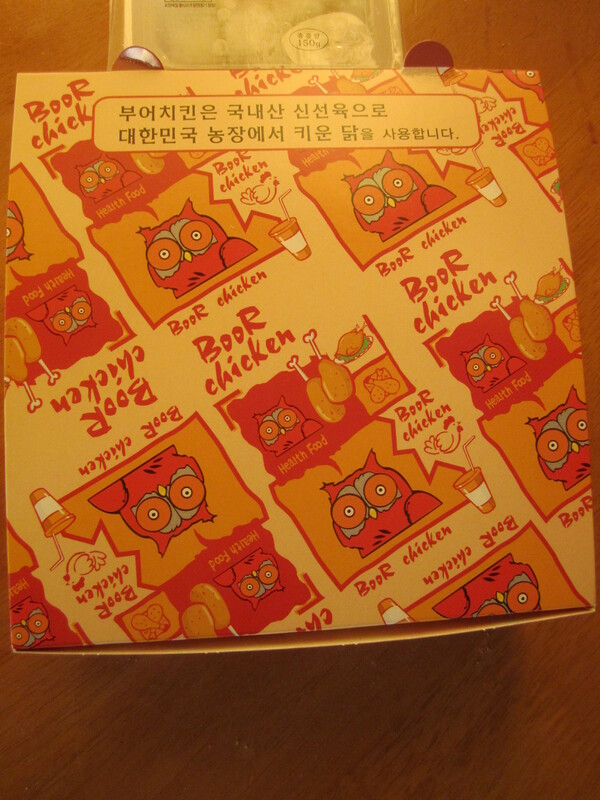 When I opened up the box, I was greeted with two breasts and two wings. Plus, I found he put a small packet that I didn’t initally see him put in the bag. When I opened it up, it was salt…as if fried chicken wasn’t more unhealthy for you, they want to just amp up the possibility of you getting atherosclerosis. Oh Korea. Health concerns aside, I tucked into the first piece, and I was pleasantly surprised at the breading and quality of the chicken. There was a certain lightness and absence of grease in the skin that made it taste different from KFC or Popeyes. The chicken was all white meat, but like most things in Korea, not hulking in size in comparison to food portions in the USA. The wings were a bit of a let down since they were mostly bones and cartilage, but then again, when aren’t they a letdown unless they’re the real Hooters wings? I even added a little gochujang (red pepper sauce) I had in my fridge, and it provided a nice, semi-bbq flavor to the crispy fried skin. Once I finished the chicken, I opened the mystery container which looked like it contained some sort of white, translucent cubes. Some pickled veggies with your deep fried meat? Upon closer inspection, I thought they were rice cakes, but they were floating in a thin, clear liquid which is odd for rice cakes. 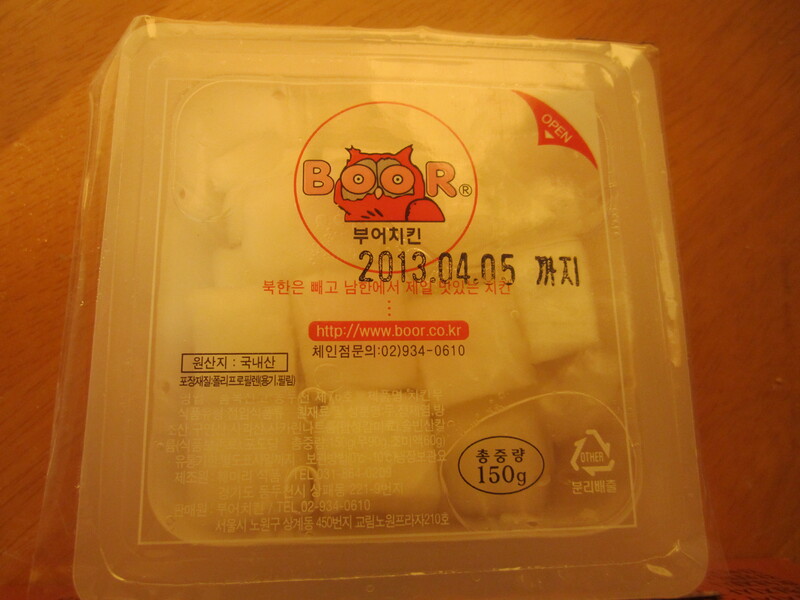 Once I ate a cube, I realized it was some sort of pickled radish that had a slightly sour aftertaste and a semi-crunchy texture. It was an interesting compliment to fried chicken. Perhaps they think people who eat this food need to get some sort of vegetable into their diets even if they are pickled. 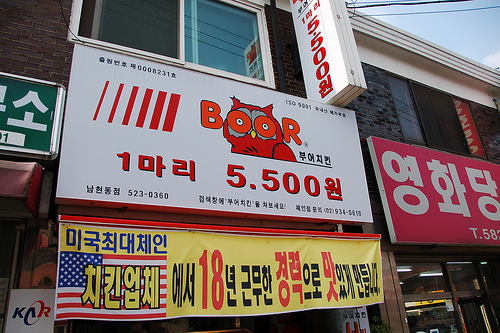 Overall, I would recommend Boors to anyone in Korea who’s craving a little deep-fried, American goodness if you’re getting tired of tonkatsu (even though that’s impossible). It makes up for the lack of scantily clad waitresses with quality service and a delicious recipe for fried chicken. 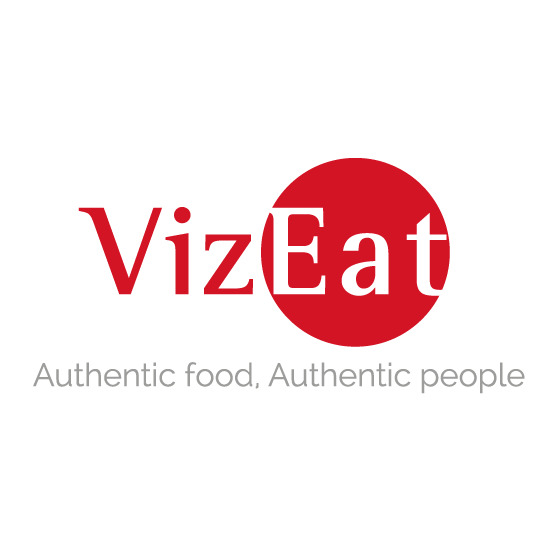 Posted in American Cuisine, Chain Restaurants, Chicken Wings, South Korean and tagged breading, breasts, chicken, dining, Food, fried, Hooters, Korea, owl, pickle, radish, restaurant, Reviews, salt, sauce, Travel, wings. Bookmark the permalink.